Ryan B. submitted this photo and caption. 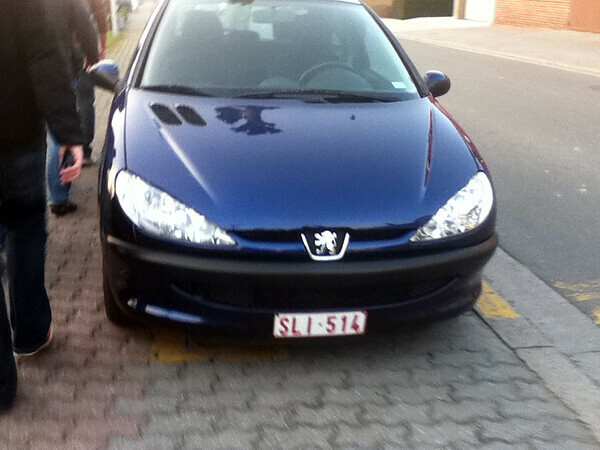 The UNT Indoor Drumline and percussion ensemble went to Belgium over spring break this year and on a free evening we were walking down the street of Dadizele, when we saw this brand of car. We IMMEDIATELY thought of the Boston Crusaders because of the lion emblem on the hood. These cars were everywhere!